This is my first gaming pc, assembled by me so the cable management is really messy (trying to figure it out atm) but the first startup went well and I haven't encountered any problems so far. I live in Hungary so the listed prices on the site aren't applying to me, but I'll add the amount of HUF that I've paid. This computer replaced my 4-year old system which was too slow to run the newer games, and I also needed an overall faster system for my video and picture editing hobbies. The old PC had an FX-6300 with 8 gigs of ram, and a GTX 960. I was able to sell it for a fair price so I had the opportunity to buy the 6GB version of the GTX 1060. The CPU: I've never been a big AMD fan but I decided to give Ryzen a chance an I'm glad I did. It's very fast, and multitasking is awesome. The utilization never goes above 60% even when I play ME:Andromeda (with the ultra preset) while I have multiple tabs open in Firefox and I also download games from my Steam library. I bought it from the local PC shop, for 48000 HUF (Around 170 USD) which was a great deal in my opinion. The Be Quiet! cooler is stylish in my opinion, and it's quiet for real. But as a first time builder it is hard to figure the mounting process out with the optional AM4 mount. The Motherboard: Everything works fine, however if you want to connect more than 3 case fans you have to buy a PWM fan splitter cable. The RAM: It's fast, and I also got a great deal on these as well. After enabling the XMP profile it's running on 2933MHz. The GPU: First I was looking at the 3GB version, but since I managed to sell my old system I had enough money to go for the bigger one. This Asus was the only availabe GTX 1060 in my local shop, so I bought it for 95000 HUF (336 USD). Also It's one of the cheapest 1060s in Hungary, but Asus is a respectable brand so I wasn't worried. It's great, runs everything I throw at it with stable 60 fps. The fans are rarely spinning thanks to the case fans and the great airflow they generate. The Case: I like its design, and the TG is a nice touch. It was easy to build in it however I can't figure out the cable management, so it's definitely not noob friendly. The Power supply: It's fairly cheap, but it is Bronze certified and it's semi-modular which is nice. The cables are really hard to spin however. Definitely not the best build experience. Last but not least; The case fans: I like the white leds, they aren't too noisy but they generate an impressive airflow. Thanks to them my video card fans don't even have to work even when playing some heavier games. You can manage their speed using the motherboards BIOS. 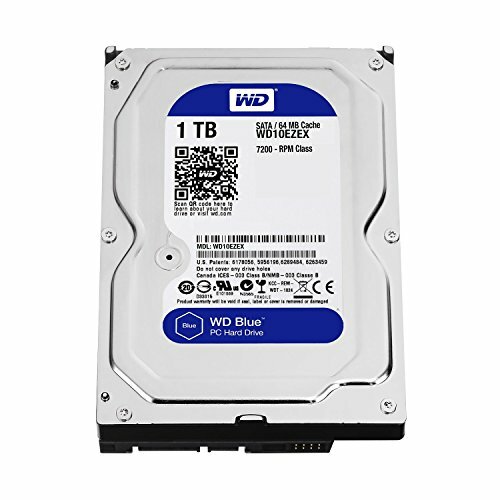 Future upgrades: I really need to get an SSD, but I don't have enough money at the moment. Also I'd like to buy a new rear exhaust fan, the one that came with the case works fine but it's not that good looking and it is a bit noisy. I'd like to buy a new monitor too, preferably a 120hz one but that's not going to happen in the near future. A great 6 core CPU, handles multitasking exceptionally. I'm yet to find a game that could really challenge it. (And I'm playing everything with ultra settings, 1080p 60 fps). I was skeptical at first about Ryzen, but I managed to buy this one for around 170$ which is a great deal for a 6 core processor with 12 threads. A great little cooler, it's quiet and it's keeping my cpu cool. I don't overclock I usually just let xfr do it's job. The mounting process however was a pain in the *** on the am4 bracket. One of the cheapest 6gb 1060s available, but it's just great. It handles OC well (even after the factory OC), It's well built. Handles all my games (BF1, Me:Andromeda, FFXIV, GTAV etc) on ultra (1080p, 60fps) and thanks to my case and it's fans it stays cool even after hours of gaming. (And the GPUs fans aren't even spinning!). 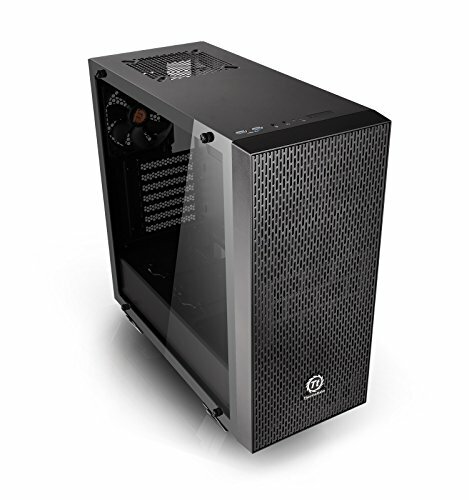 In my opinion it's a stylish case, also it has lots of air filters and options to create a good airflow since the whole front of the case is a giant mesh. Using three of Thermaltakes 140mm fans (2x intake on the front, one exhaust on the top) and the included 120mm rear exhaust fan the airflow is great and it isn't loud at all. The fans of my gpu don't even have to spin even after hours of gaming thanks to the great airflow. The only downside is that it's a bit hard to hide the cables, but it's fairly easy to assemble the computer in this case. Using three of these 140mm fans (2x intake on the front, one exhaust on the top) and the included 120mm rear exhaust fan in my TT Core G21 TG case the airflow is great and it isn't loud at all. The fans of my gpu don't even have to spin even after hours of gaming thanks to the great airflow these fans are generating. The white leds are subtle, but stylish. Great build! Btw I have the same fans as you, they are quite nice! Thanks mate! And yes, they are really good! Good choice on the GPU, I have the exact same one and its great! Thanks mate! And yeah it's wonderful! what samsung monitor is this? Hi! It's the S27E591C. It's just a normal 27" 1080p 60hz curved monitor. Since this is my second case I can't really compare it to others but I think it's great. The front panel is like a mesh, so the air can travel through freely. It also comes with 2(!!) dust filters mounted on the front panel, and there are holes on the bottom, allowing the PSU to breath. They are also equipped with dust filters. There is an optional magnetic dust filter too, which you can mount to the rear or you can put it on the top. The airflow is generally great, but if you want more than you could remove one or both of the front filters. When it comes to case fans, I recommend Thermaltakes Riing series. You can either put three of the Riing 12s, or two of the Riing 14s on the front. The top can fit both sizes, however the rear can only fit a 12. There is no fan hub however, but if you buy the Riing RGB 3 pack then you receive one. But I'm 99% sure that you can use any kinds of fans as long as they are the same size. Thermaltakes Riing 14s are really good btw, they are cheap but they have nice aesthetics and they generate a good amount of airflow but they are quiet at the same time. Yeah, they make great products but they really are pricey. The truth is, the corsair fans have prettier lights than the Thernaltake Riing Led series. Hovewer Thermaltakes cooling capabilities are just as good as Corsairs. If you really care about aesthetics, go for the Riing Rgb because they come with a controller and they also have prettier lights while they are still cheaper. Glad I was able to help! And thank you mate! Been looking at that GPU for a while, is it worth it? Well honestly In my area it was a great deal, every other 1060 6Gb cost +30$ so I’ve chosen this one because I had a limited budget and I’ve seen many good customer reviews of it. So, you can oc it easily, and it’s running my games on ultra with stable 60 fps (Me:Andromeda, BF1). Tbh I have no idea how loud are the fans because thanks to my case fans it’s cool during many hours of gaming. (The fans only activate after a certain temperature). would you recommend this build (with a different case) to any new builders? Generally you’ll have the same experience. The motherboard comes with a great manual with straightforward explanations. Everything is labeled so it’s going to be easy to connect everything. However with a different case it might be easier to manage your cables, because My TT case has limited options for cable management. And the components are well balanced in my opinion, and It’s running everything without problems. What is the keyboard? I see a Cooler Master logo on the windows keys, is it from the masterkeys line? Yup, It's a Cooler Master Masterkeys Lite. It's one of the better budget rgb keyboards and I really like it. Loving the build, though i think buying an sdd instead of 2 hard drives would make more sense but maybe there's a reason. Anyways I would like to see more pictures. I’ve already had these hard drives so that’s the reason why they are in the system. Also they are close to being fully utilized since I have a big Steam library and I prefer to download and store my favourite games. Once I’m getting my next payment I’m definitely buying an SSD! Thanks for the feedback! I will post more pictures once I have more free time to rearrange my cable management! Oh I see, well ok that that makes more sense. But ya can't wait! 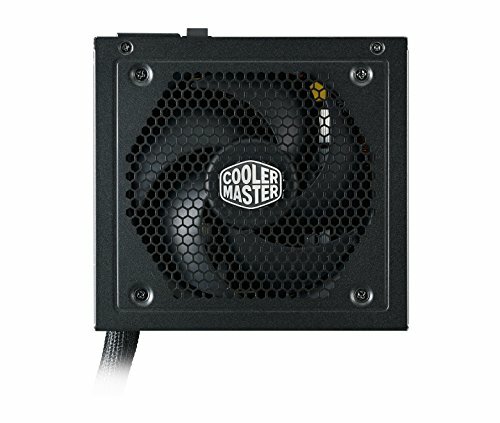 How is this PSU holding up? Is it still working fine? I'm glad to report that it's up and running without any problems whatsoever. My pc runs a lot (at least 5 hours a day) and it's been serving me exceptionally. The fans never really spin up either, it stays cool.